American independent hip hop recording artist, Joey Bada$$ from Brooklyn, New York City releases a new video for "My Yout (Remix)." 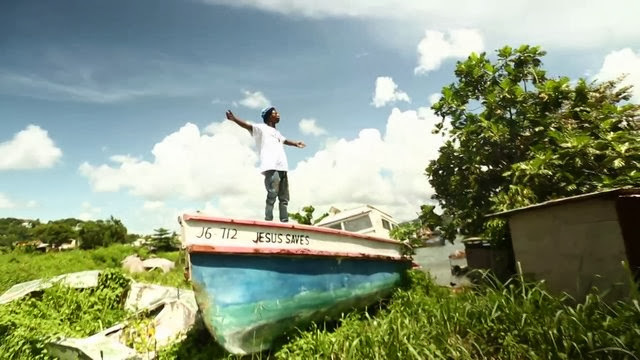 In the video, Joey returns to his family’s native island of St. Lucia. The video features scenes from across the island from the famed Pitons (a distinctive pair of volcanic plugs on the island’s southwestern coast) to the market city of Castries. Joey imbibes in the island vibes and the magnificent scenery, and interacts with the locals. He also rides a buggy on the beach. The island-themed video fits perfect with the song and its reggae-influenced chorus. The original song's hook was sung by Collie Buddz, but the version in the video was sung by London vocalist Maverick Sabre.